From our workshop in Ashford, Kent, we produce elegant, timeless furniture that incorporate the natural features of the slab of wood used to create them. Our tables and other items are stunning centrepieces for any room in your home or office. We produce live edge, waney edge, solid wood worktops, kitchen islands and breakfast bars, as well as natural tree slice tables, natural wood dining tables and coffee tables. 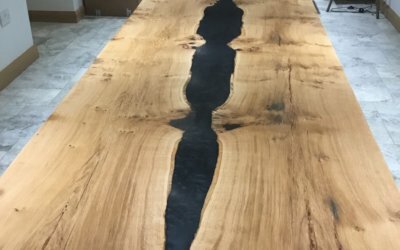 We create unique, lovingly crafted dining tables, coffee tables, headboards, desks, bar tops, worktops, tree wood dining tables, natural live edge dining tables, tree slice dining tables and more. Check out our previous projects for inspiration, then get in touch to talk about what we can create for you. Enhance any room in your house, or office, with a unique item of furniture that incorporates the wood’s natural edge. Tell us about your requirements and the environment the furniture will live in. We can help you choose the best design. We source the ideal slab of wood using our network of local suppliers. All our wood is from sustainable sources. Utilising years of expertise and our specialist treatments, we create and deliver your unique item of furniture. Our main range consists of dining and coffee tables made with natural-edged wood slabs. The wood is lovingly cleaned and treated, ending up as a striking one-off centrepiece for your kitchen, dining room or living room that will last for generations. More recently, we have been making resin-filled tables, where the natural edge is visible but protected by transparent resin. They are a novel and striking addition to any house or office. 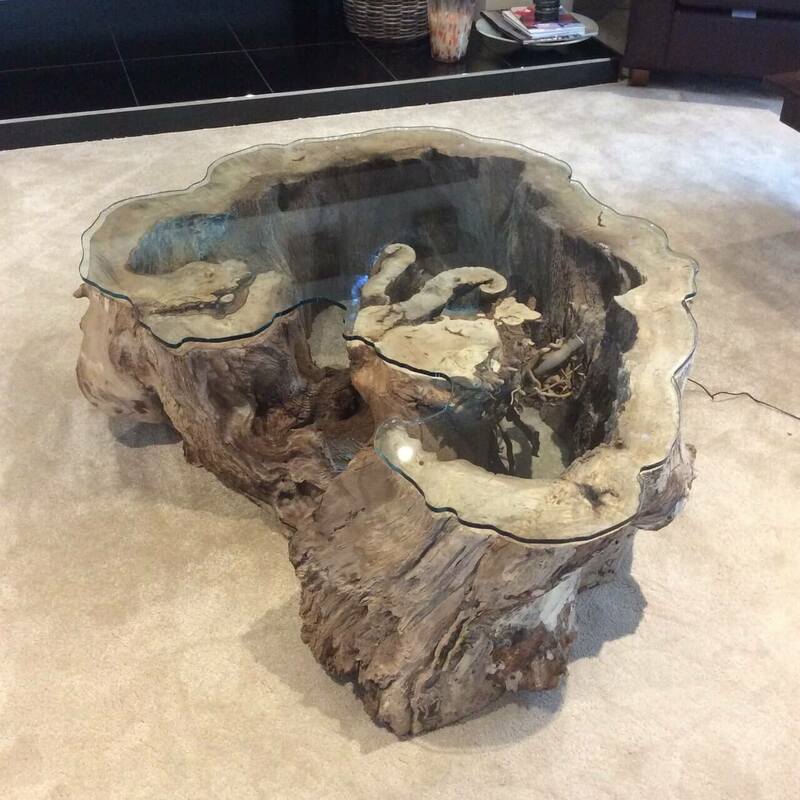 We also offer dining and coffee tables made from tree trunks. Again, our specialist cleaning and treating process ensures that the glass-topped table will complement any environment. 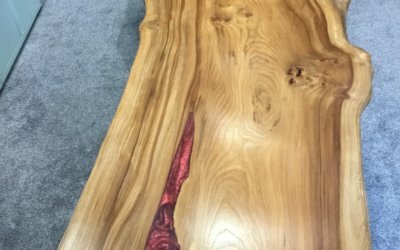 If you are looking for something different for your home or office, we can also provide tree slice headboards, tree slice dining tables, worktops, bar tops, waney edge dining tables, live edge tables or desks and more. If you have an idea, its likely we can turn it into reality.